The city of Skrapar is well-known for its traditional alcoholic beverage made from grapes, raki, which is known not only in Albania, but also abroad. 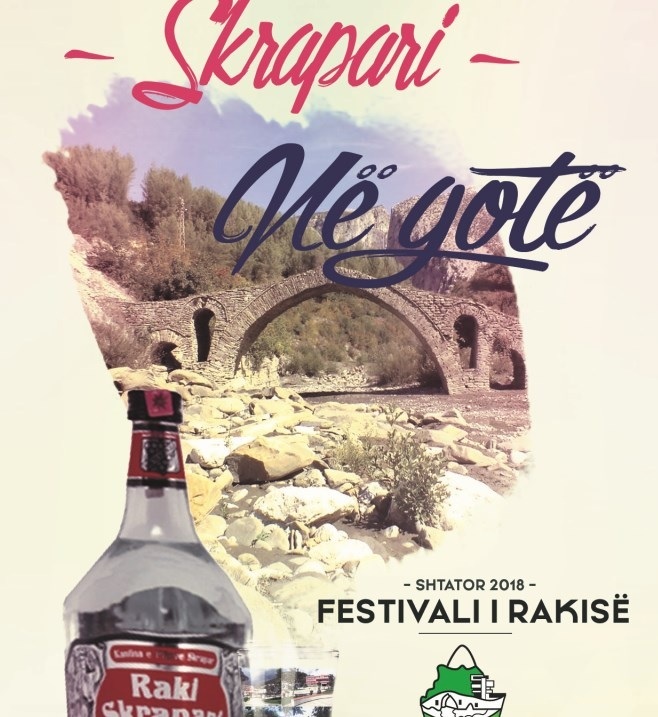 The promotion of the tradition of rakia production combined with traditional dishes will gather on September 21 the residents of the city of Skrapar at the Rakia Festival. "Skrapar on the Glass" is a new holiday in the Skrapar City Hall holiday package, which continues to promote the tourism in the area. Famous villages for the production of Rakia are: Zabrzan, Rog, Vërzhezhi and Muzhakë. Apart from Rakia, Skrapar is also known for other products, such as honey and a variety of cheeses. The many natural potentials, hospitality traditions and the quality of Skrapar's typical products have made tourism not only seasonal, but has become a tourist attraction. Skrapar's hilly relique is very attractive and offers a very beautiful panoramic landscape. Skrapar has many caves that are very attractive to tourists, like the cave of Pirogosh, which is a very special natural monument. These natural resources for tourism make Skrapar a resourceful area for the development of adventure and mountain tourism. Considered as the "Albanian Colorado Canyons of Osumi", Skraparis attracting more and more adventure tourists in our country.